Mark Dolson is a young student in seminary who has many unconventional ideas. When he begins to share them with parishioners, he faces the wrath of the stern, old-fashioned Monsignor Thomas Burke. While he is determined to shut him up by any means possible, Mark finds an ally in Father Tim Farley, a priest who is much beloved by his flock. However, in his willingness to stand up for the young seminarian puts his own career at risk, and he must determine whether the price of authenticity and standing up for the underdog is truly worth it. 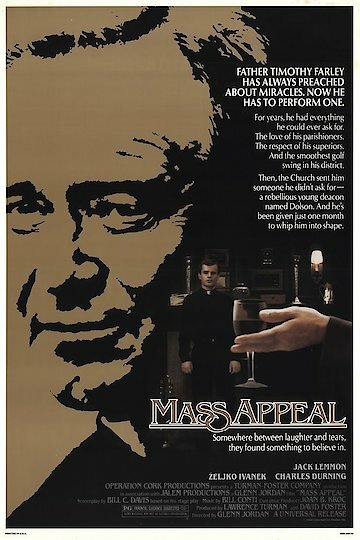 Mass Appeal is currently available to watch and stream, buy on demand at Amazon, Vudu, Google Play, iTunes, YouTube VOD online.